The word “bipolar” has called my attention twice in recent years. 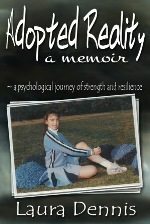 The first was during the time Roger and I were waiting to adopt our second child, and the second was this past winter when I read Laura Dennis’ memoir, Adopted Reality. Knowing her story makes me wonder how accurate were the ideas I had about bipolar disorder all those years ago. 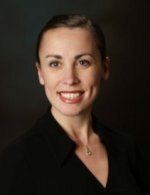 I again present my friend Laura, a mom to two small children, a trained dancer, an adoptee-in-reunion, and an author. Laura is a busy busy person. Besides revising her first book, writing at her own blog, Expat (Adoptee) Mommy, and at Lost Daughters, she has also been compiling and editing the soon-to-be-released book, Adoption Reunion Conclusions (to which I am a contributor), which will be available later this year. Laura has generously answered a bunch of questions about being an adoptee, about mental illness, about writing. Read on, and see information at the bottom about a giveaway of her book. You know now that your parents meant well when they told you “Your birth mother loved you enough to give you up. And now we love you.” How did that well-intentioned phrase come across to a small child, and what effects did it have? The subtext was apparent from an early age: Yes, my adoptive parents love me, but they, too, could give me up. And so I resigned myself to be the perfect adoptee, the one who “has no issues with being adopted.” I was overcompensating to make 100% sure I was loveable. The second edition of your memoir is about to be released. What changes have you made? The second edition of Adopted Reality includes more insights about my recovery. It’s funny, Lori. I am still processing, even as I outline, write and publish. I thought I was “over” my breakdown; normal enough to write a book about it, even. The reality is that in the first edition I glossed over the gory details of my recovery. It’s hard to think about, even 10+ years later. It’s hard to remember being out of the mental hospital and not completely sane, barely functioning and yet completely determined to prove my lucidity. In various parts of your book, you show how disconnected you were from your body. You could go with little food or sleep for long periods. You didn’t miss a dance performance despite the pain of putting on your costume over second degree burns. When your birth mother asked you, at first meeting, what you felt like eating, you couldn’t grasp that concept of feeling like something. What causes may be at the root of this non-bodiment you experienced? Disembodiment or feelings of “non-bodiment,” are often connected in psychological terms with disassociation. Disassociating, or detaching from real-life experiences can be a coping mechanism. On one hand it allowed me to “dance through” excruciating pain, set it aside and detach from it. But that’s the rub with denial and disassociation, and coping mechanisms in general, isn’t it? Unless you recognize them as such, they tend to come back to bite you. Later, in my delusional state (which I did not realize I was delusional–likely the biggest problem), I took this non-bodiment much, much further. I believed I was bionic — not human after all. In that state, I was inadvertently led to self-harm. I was so detached; I didn’t even feel physical pain, and I wasn’t aware that I’d hurt myself. Freud and Jung would have a field day with this — connecting my divided sense-of-self with my tendency towards dissociation. In fact, I talk more about the root causes of my breakdown, and specifically this feeling of disembodiment in the second edition. In many ways, the coping mechanism of “non-bodiment” went into overdrive. Accompanying the guilt I had over searching and having this amazing reunion, I felt I wasn’t grateful enough to my adoptive parents. My divided sense-of-self — adoptive vs. biological person — combined with the not eating and not sleeping. It was a perfect storm, leading my mind to kind of collapse in on itself and enter a paranoid delusion. Have there been any adoption issues that have impacted your marriage or the way you parent your children? I wrote about my recovery in Adopted Reality, but the memoir pretty much ends in the year 2003. In the ensuing ten years, I’ve done a lot and maintained my sanity. The funny thing is, throughout the therapy I received following my bipolar episode, no one … no one asked me about having been adopted. Potentially unaddressed post-adoption issues did not come into play. Having said that, I’m still working through my post-adoption issues. That’s not to say that every adoptee goes through the same things. It’s just that so many seemingly mild “issues” were not examined in my childhood and young adulthood. It compounded, and now, sorting it all out is an arduous task. So, to answer your question, yes, my post-adoption issues do impact my marriage and my children. Attachment, fear of rejection, those are big ones in my marriage. Projecting my own fears onto my non-adopted children … these are things I’m still sorting out. I actually wrote about how I recently explained my adoptedness to my five-year-old. Laura is giving away an ebook of Adopted Reality to a random commenter. Leave a comment by May 9, 2013 and make sure I’m able to reach you. The winner will be announced here and Laura will attempt to contact that person by May 12. Laura…I can really identify with what you say about disembodiment and disassociation. I consciously experienced dissociation for the first time last year at age 46. A lot of times I found this happened in the shower. It also happened several times in therapy. Sometimes I had the power to keep myself from “going elsewhere” and other times I just had to go away. I wonder if I did that as a child and just don’t remember doing it (I feel like I probably have). I cried after several times when it happened, but now that I understand it I don’t see it as being quite so scary. I think sometimes I still dread showering however because I want to avoid the avoiding (if that makes any sense at all). I have my most profound and positive and my most dark thoughts there it seems. If only dirtiness was in vogue! I am also in a great reunion with my dad and his side of the family. My mom’s side is way more complicated. I totally get this divided sense of self you talk about. Therapy has helped me wonderfully. Online community has helped me so much as well. My faith (not religion) has sustained me. I could not be recovering without all three, plus a great husband and kids and my original family. I try not to be the grateful adoptee any more, but the parents who raised me are having a hard time with that one. I can’t control how they think and feel, and now I don’t have to anymore. Can you say freeing?? I think I need to check her book out. It’s just been the last few years that I’ve realized I haven’t dealt with the fact that I’m adopted nearly as well as I always thought I did. Finally deciding to seek counseling to deal with that and a bunch of other things is helping me to work through things piece by piece. Congratulations on taking this step. I do believe that self-awareness, though painful at times, paves the way for freedom and contentment. thanks for this great content! I’m trying to read as much as I can about issues that adoptees face. As an adoptive parent, I want to help my son with what I can and just be his champion for the rest… It can be hard for me to read about the “hurdles” adoptees face, but hopefully I make a difference. Thank you for sharing with all of us! We couvd’le done with that insight early on. Her book sounds incredible. I’m not adopted and neither is anyone in my close family but I still want to read her book. I have friends who are adoptees and I think that reading her book would be helpful in understanding things they talk about. I’m so sorry you have this trigger when showering — I wonder at the root of it, but like so many things psychological, we may never truly know. Coming out of the adoption fog, not feeling like you have to be grateful anymore = totally freeing! Battynurse — thanks so much for commenting! I’m so glad that you’ve gotten yourself into counseling; this can be the first step towards true healing. Are you in reunion at all? What made you finally decide to seek help? Please keep in touch to let us know how you’re doing. What a facinating interview Lori and Laura! Thank you so much for sharing. As someone who has loved ones who are adopted, loved ones who are adoptive parents and loved ones who have bi-polar disorder, there is so much for me to chew on and digest here. Kathy — wow, you really are “connected” to adoption 🙂 I checked out your website, and you too, are no stranger to the pain of loss. There is so much to understand when it comes to adoption, as well as overcoming the stigmas of mental illness. I hope you’ll stay in touch! Awesome Q&A. I have the book and it’s in my queue. I think any information we can gather will only help us in parenting and identifying issues that may come up as a result of our children being adopted. Thanks so much, Geochick–it’s great to see you again (after we connected with the Sound of Hope). I really can’t wait to hear what you think of the memoir–the feedback I’ve gotten from both first mothers and adoptive mohers is that the presentation of both is fair and balanced. I’ll be interested to hear your thoughts!